Typography is essential in design and communication, much the same as colour. There’s a bunch of rules in design and designers break them all the time. Serif headings, san serif body. Complementing colours. Always include white space. These rules are broken when the designer knows exactly what they’re doing. They take the ‘rule’ and they twist it, sometimes to encourage the viewer to be shocked or surprised, and sometimes because their idea is the exception. 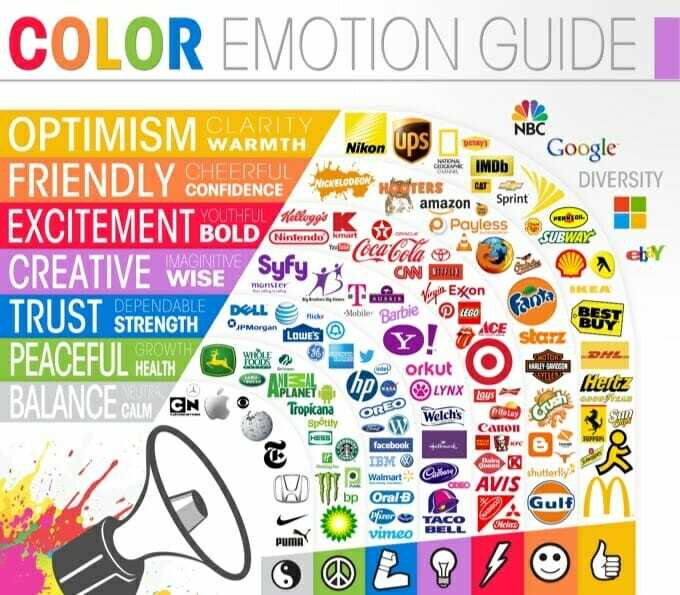 But when it comes to evoking some sort of emotional response from your audience, it pays to understand how they’re influenced by things like colour or type faces. Emotion actually influences how we make decisions and when we have an emotional reaction to something it’s likely to stick around longer in our minds. A thousand tiny things happen throughout your day but at the end of it you’re only likely to remember things that: really annoyed you, really pissed you off, or really made you smile. The same goes in design, it’s unlikely that someone will remember your web design or your poster unless it actually made them feel or made them think. If you’re considering a career in design, or considering commencing study, this should help you with the basics. While earlier I mentioned that any emotion, good or bad, encourages our human brains to hold onto the information for longer… evoking anger or frustration through your font isn’t the way to do it. The reader should never struggle to read your text. Consider the difference between how it looks on paper compared to how it will read on a screen. The harshness and brightness of a screen’s lighting can take a font or font colour from beautiful to flipping annoying. For the same reason, contrast between the background and the text colours should always be considered — not enough contrast can mean eye-strain but too much can be painful too. Script fonts are associated with femininity where modern fonts were linked to masculinity. Monospaced fonts are interpreted as dull and unimaginative and serif fonts are mature and stable. 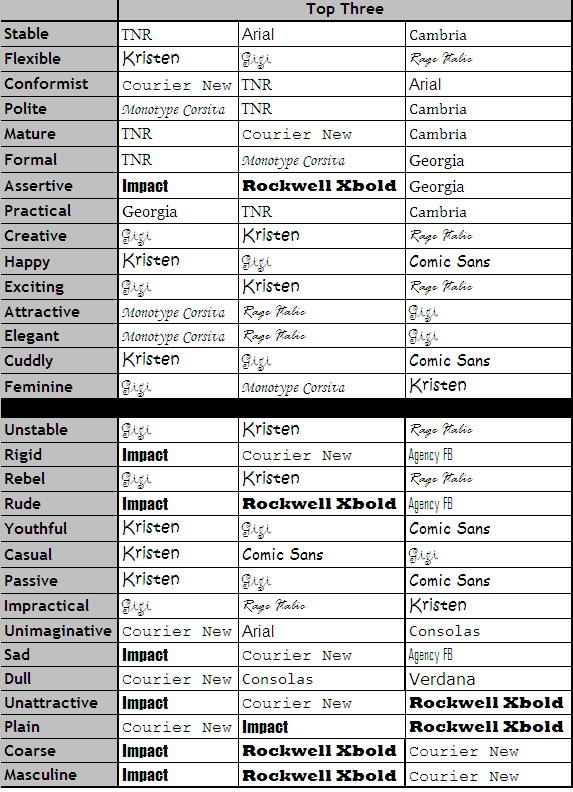 These small but key differences can help your design and assist you in evoking emotion. Thinking about the associated characteristics with the typeface as well as who your target audience is and how you want them to feel can take your design from ‘visually appealing’ to ‘visually appealing and effective’. There’s a whole range of thoughts and theories when it comes to the psychology behind colours and how colours make us feel. There’s some you’ve probably heard of though: colours like light blue are calming (think back to school classrooms), yellow is happy (smiley faces, the happy sun in Teletubbies), and red is attention grabbing or aggressive. There’s actually quite a bit more to it and it’s taken years on years of research for us to work it all out. Combining primary colours represents diversity… think about Google, eBay and a lack of colour (black, white, grey) exudes calm, neutrality, or balance — yin and yang anyone? Red represents boldness or excitement. Common brands that use the colour red are Coca Cola, Target, and Netflix. But thinking smaller, ‘order now’ or ‘register here’ buttons are normally coloured red — to inspire you to be bold and act now. Green is representative of peacefulness and environmentally friendly campaigns. But think about brands using those colours… BP, John Deere, Spotify. They don’t care for the environment or peace at all. Green can also imply growth and fertility which are the kinds of notions these brands endeavour to evoke in you. My Car Is In The Shop… Again!